There are several answers. The most basic is that the destination’s cuisine has a unique sense of place. This is why foodies love going to Italy, famous for its delicious hyper-regional cuisine, from risotto in Milan to pesto in Genoa to bistecca Fiorentina in Tuscany. Ditto for steak frites and croissants in Paris, sushi in Tokyo, and BBQ in Kansas City. Next would be variety: It’s great to eat your fill of world-class pizza, but if that was all Naples served, the charm would wear off quickly. Fortunately, the city serves plenty of other scrumptious fare to its hungry travelers. Many foodies look for the presence of an acclaimed or celebrity chef; this is what put Las Vegas on the world radar as food destination. Real foodies also seek experiential dining, whether it’s wine tasting, demonstration dinners, major food festivals, or meals with a story, served in special places, like the twilight dinners set up in the bush at luxury safari camps. So if the main reason for your trip is to eat, it’s easy to pick a food-centric luxury destination. But it becomes trickier when you want to take a vacation for other reasons and still eat very well. For an island beach trip with world-class food, options become narrower and a place like Hawaii has a lot more variety than the Bahamas. Avid golfers seeking an over-the-top food experience alongside world-class courses will do better in spots like Charleston or Scottsdale or even Las Vegas than most of Scotland and Wales. 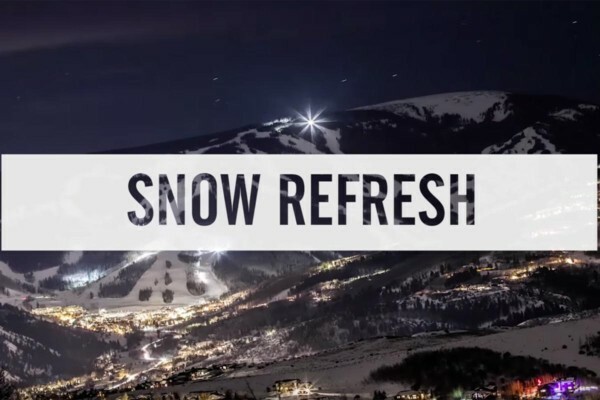 And while many ski resorts are starting to explore culinary creativity, it’s easy for visitors to be overwhelmed by the vast assortment of burgers, pizza, wings, and generic steakhouses in most mountain towns. If you really want the best of both worlds—top-tier skiing and top-tier cuisine—Colorado’s Beaver Creek has it all. Few other ski resorts can combine all the factors that make a great dining vacation into one neat ski vacation package. Bonus: You can go from world-class skiing to world-class driving without driving anywhere or even getting into a car, since everything in Beaver Creek is accessible on foot or by Dial-A-Ride, the resort’s first-in-the-nation program of complimentary, on-demand, door-to-door chauffeured transportation, making cabs and shuttle busses obsolete. And sense of place? Absolutely. Many Beaver Creek menus are focused on Rocky Mountain cuisine, which showcases the bounty of the many craft farmers, natural ranchers, and artisan cheese makers in the American West. This translates to elk carpaccio, braised Colorado lamb shanks, and grass-fed, naturally raised local hanger steak at the Park Hyatt’s 8100; a salad of prosciutto and Colorado’s signature “Palisade peaches” at the Ritz-Carlton’s Spago; roasted Colorado rack of lamb with an all-local farmers’ market ratatouille at the Chateau’s Splendido; and even elk sausage as an on-mountain lunch option at the new slopeside Talons restaurant. Buffalos in the Ritz-Carlton is totally focused on the regionally grown concept, and you’ll find bison, lamb, elk, duck, rabbit, and dry-aged, grass-fed steaks all over town. As for variety, well, the single hardest choice you’ll make at Beaver Creek is what to eat tonight. From creative takes on fresh sushi at Hooked and twin Spanish tapas bars to Neapolitan pizza and endless fine dining choices, there is truly something for everyone. In terms of renowned chefs, none is more famous than the original “celebrity chef,” Wolfgang Puck, for whom the very term was invented. Puck has a wide range of restaurants at various price points, but the fine dining flagship of his culinary empire is Spago in Beverly Hills, and its spinoff sibling in the Ritz-Carlton Bachelor Gulch is the chef’s only attempt at gourmet cuisine at any ski resort. Experiential dining is huge at Beaver Creek, from the how-to instructional private chef dinners inside the kitchen at the Park Hyatt’s 8100 to the gourmet slopeside dinners at Allie’s and Beano’s cabins, accessible by sleigh rides. Metropolitan, the authentic Spanish tapas bar in the heart of the village, has a unique European Enomatic automated wine machine, believed to be the only one at a U.S. ski resort. This allows wine fans to sample a range of fine wines rarely served by the glass in pours of their choices, as little as one ounce. 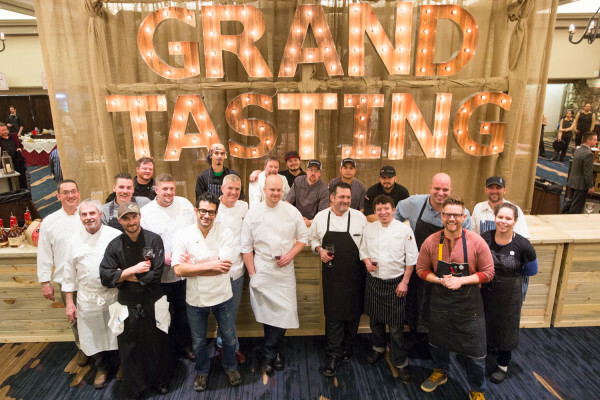 Every January, Beaver Creek hosts a major four-day culinary festival in partnership with Food & Wine magazine, attracting some of the hottest and most renowned chefs in the nation. Of course, not every meal has to be over the top and manned by a celebrity chef; Beaver Creek also serves up lots of fun fare. Guests can make use of the outdoor barbecues for grill-your-own lunches at Mamie’s on the mountain, and everyone looks forward to 3 p.m. every day, when chefs pass around the resort’s signature fresh-from-the-oven chocolate chip cookies to weary skiers at the base of the resort. Mountain-goers consume half a million of them each season—about 3,000 per day.